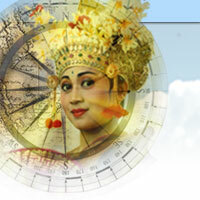 Easy Indonesian Distances Calculator Currency Exchange Weather Book & Music F.A.Q. Luxury Villas in Bali are now the latest trend in Bali for the most luxurious and private way of experiencing Bali. Luxury Villas can be found on or near the beaches of Seminyak, Sanur, and Nusa Dua; or up in the secluded, art center villages of Gianyar and Ubud. Rates range from USD 57 to USD 855 per night, or even thousands of dollars for the highest end.